In 2012, Kidney International Supplements published the KDIGO guidelines on the treatment of glomerular diseases (GN). The guidelines were commissioned as part of a KDIGO workgroup that looked at evidence-based data in glomerular diseases. GN is a major cause of patient mortality and morbidity in nephrology. It is important that this step was taken by KDIGO to help physicians better serve their patients. Recently, Beck et al put forth the KDOQI commentary on the KDIGO GN guidelines in AJKD. Their commentary discusses some of the limitations of guidelines in rare diseases. They highlight that certain diseases such as ANCA vasculitis and lupus nephritis have robust multi-center trials, but others such as FSGS do not. While HSP nephritis has very little pathophysiology-based studies, the science of MPGN has progressed swiftly. This can impact how and what we propose in guidelines. 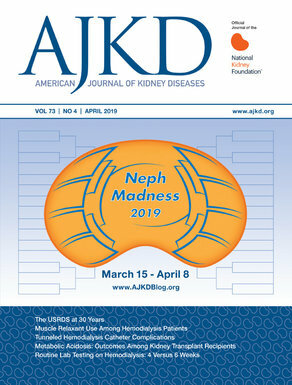 When treating GN, nephrologists and other specialists are often faced with difficult decisions and considerable uncertainties. Clinical practice guidelines are statements that include recommendations intended to optimize patient care. They are usually informed by a systematic review of evidence and an assessment of the benefits and harms of various treatment options. Other nephrology associations might also have GN guidelines. As clinicians, we should be provided with evidence based, unbiased set of guidelines for all aspects of kidney disease.